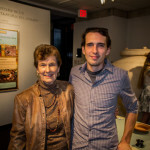 At a conference on new technology hosted by Sponsored Research, Dr. Nancy de Grummond of the Department of Classics encountered Windham Graves, Research Assistant and MMAP Project Leader of the Facility for Arts Research. 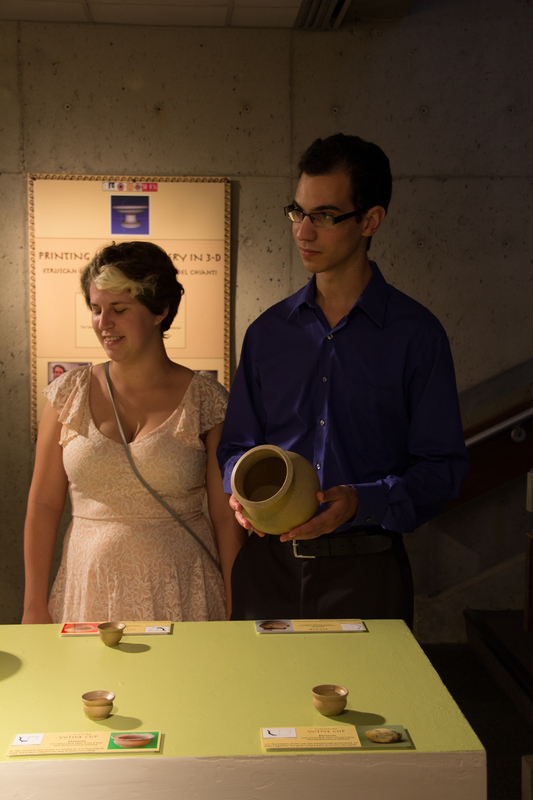 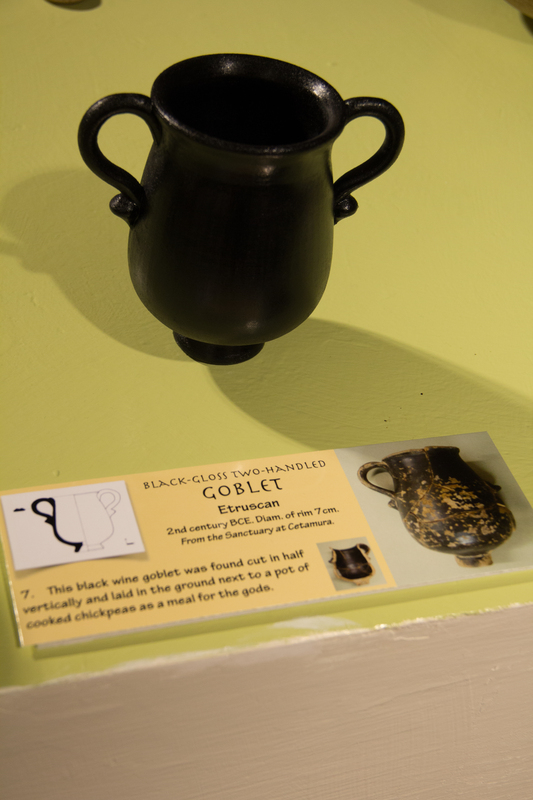 Their subsequent collaboration resulted in 3-D printing utilizing profile-drawing reconstructions of ancient pottery. 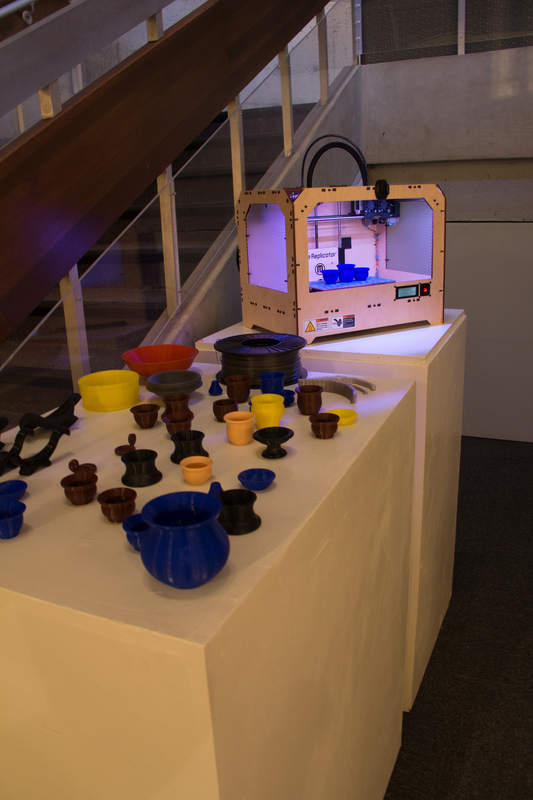 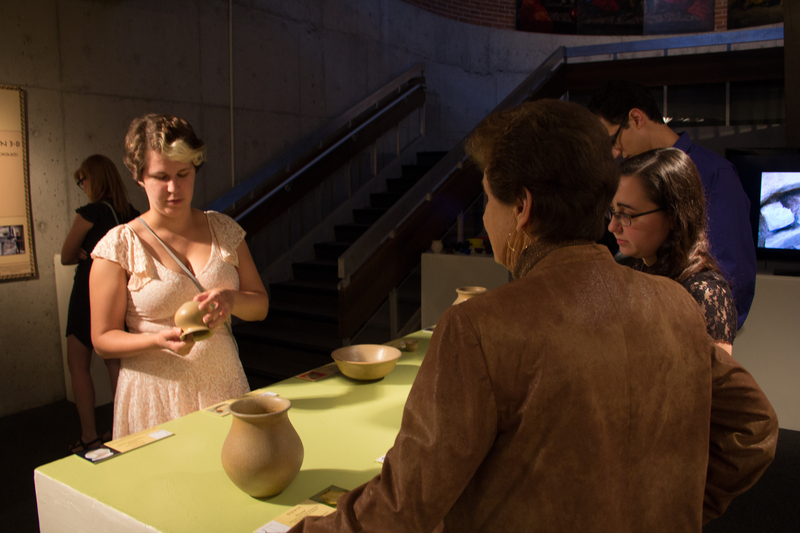 So successful were the prototype vessels, that Dr. de Grummond, her students, and the FAR staff printed and polished an entire exhibition that is currently at MoFA—Printing Ancient Pottery in 3-D: Etruscan Ceramics from Cetamura del Chianti. 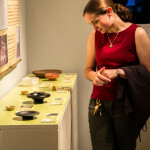 The new exhibition combined Facility for Arts Research (FAR) technology with classical archaeological reconstructions from sherds. 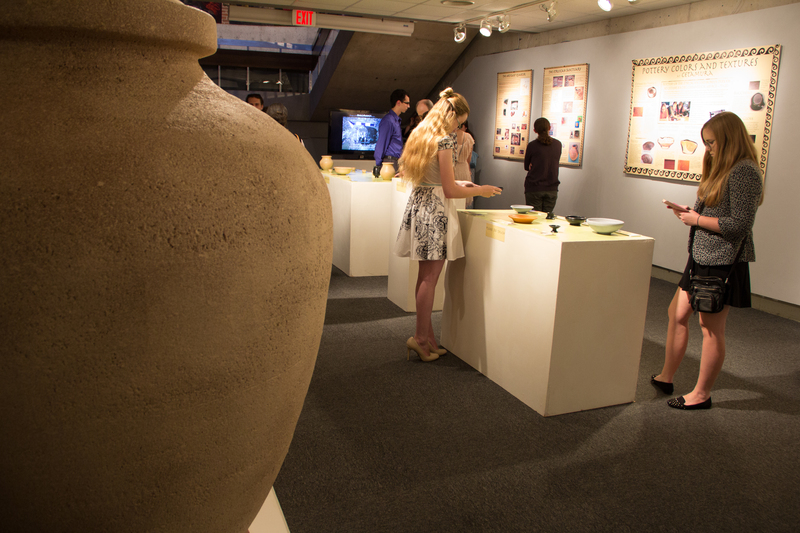 The shapes of ancient pottery from Cetamura were 3-D printed using FAR technology, and Classics Professor Nancy de Grummond and her team of students were in charge of preparing the models for the show. 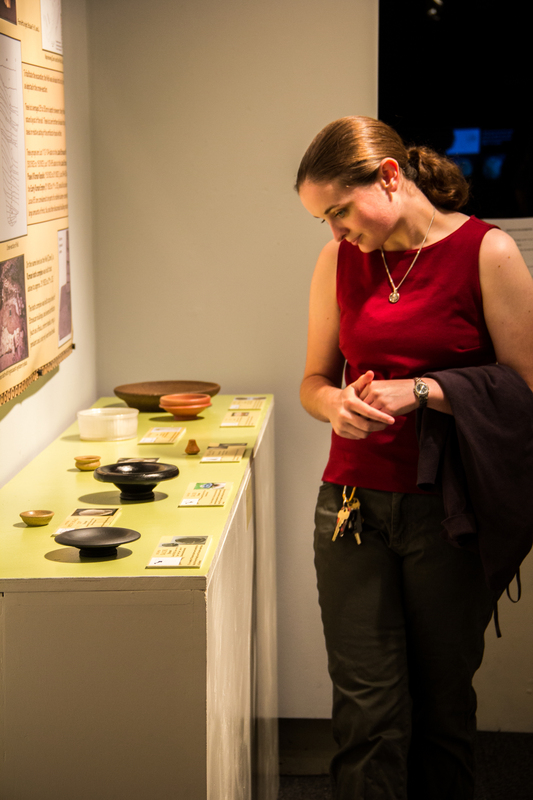 Windham Graves 3-D printed ancient artifact shapes that have been reconstructed from excavations in Italy at Dr. Nancy de Grummond‘s dig site. 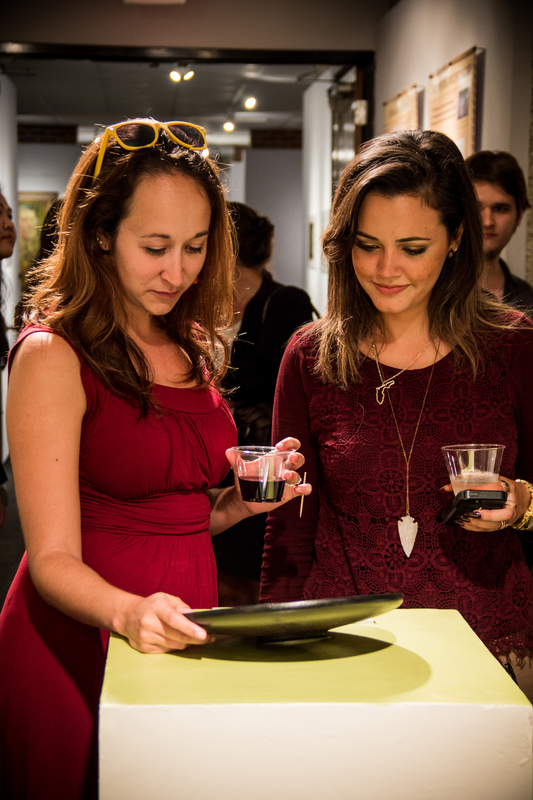 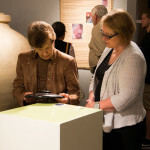 The two of them have worked together to integrate past and present art and artistic technology. 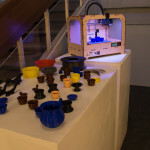 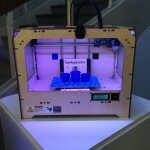 Maker-bot demonstration at the Museum printed three small votive vessels at the same time; each blue matrix object was later sanded and colored to resemble the original material. 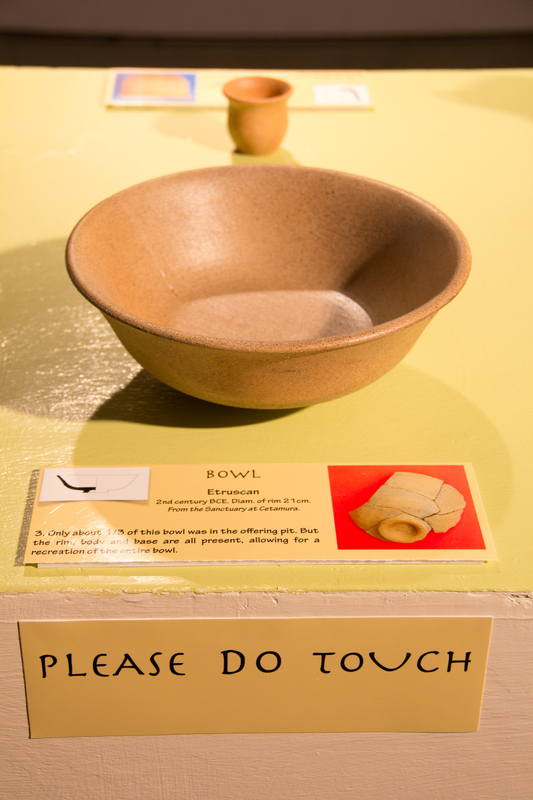 Windham Graves—with a sense of accomplishment— demonstrating the “please do touch” aspect of the exhibition. 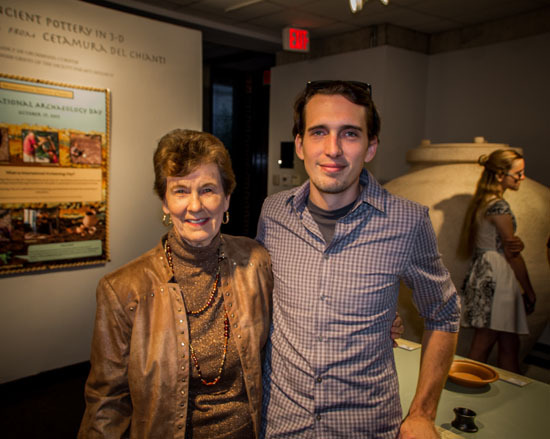 Windham created the Cetamura dolium at FAR, completed with the assistance of Max Gross. 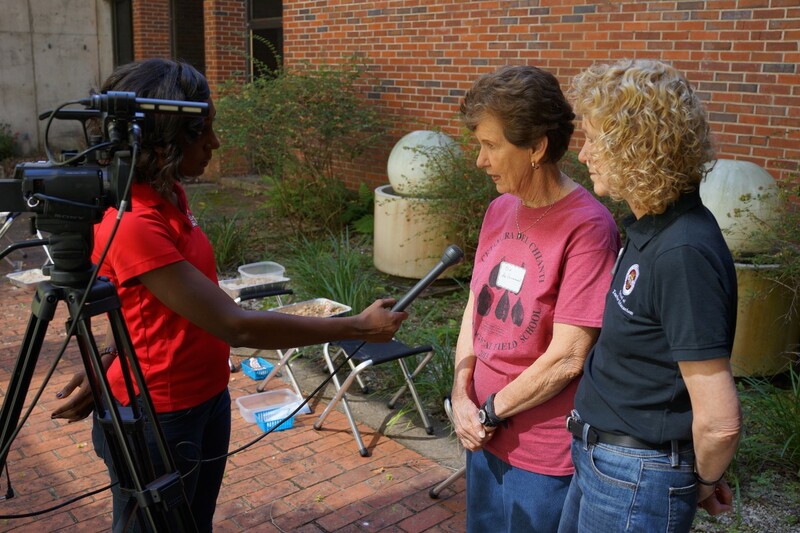 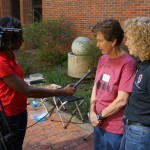 Drs Nancy de Grummond (Classics) and Sandra Lewis (Visual Disabilities Program / FSU) are interviewed on International Archaeology Day about their projects for young visitors. 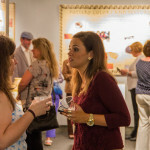 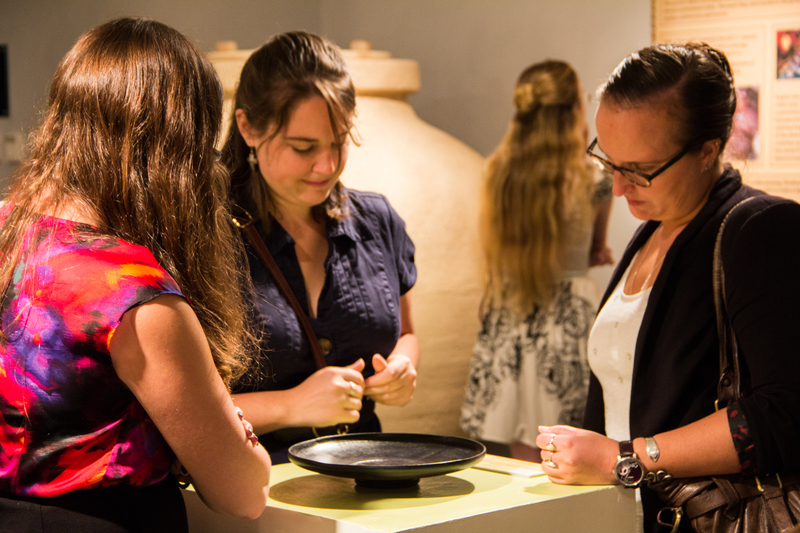 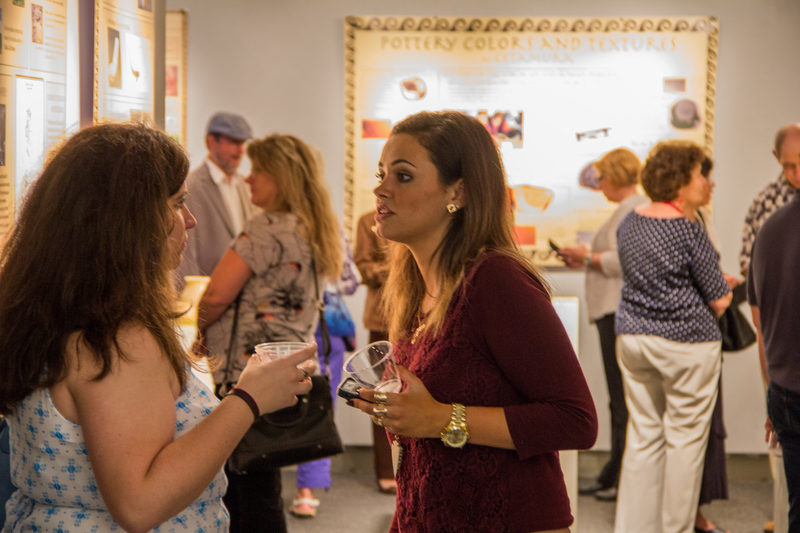 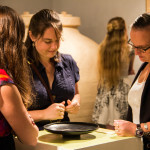 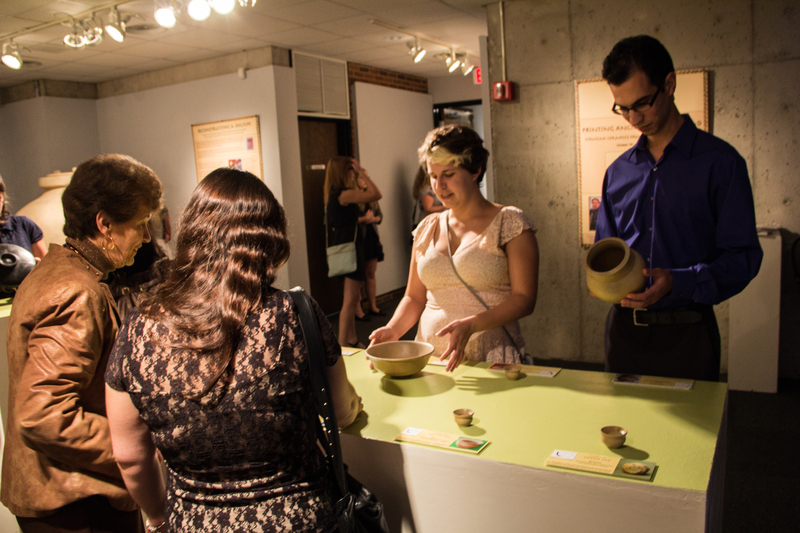 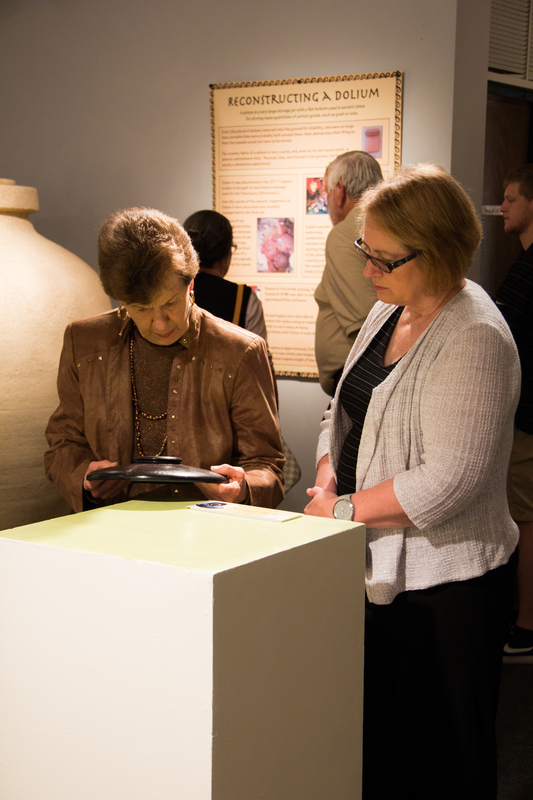 The show opened October 16, 2015, followed by International Archaeology Day in October. 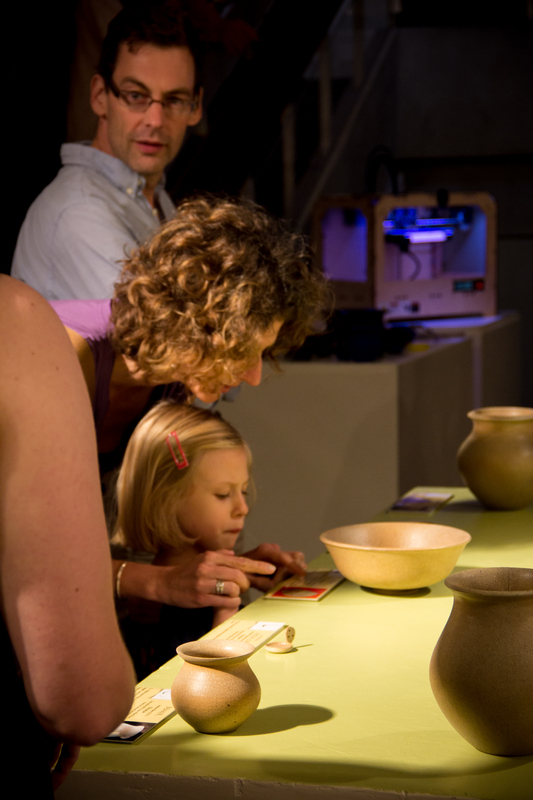 On that day, Dr. de Grummond’s exhibition took advantage of another aspect of 3-D printing: it can be picked up, handled, examined. 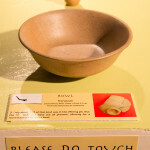 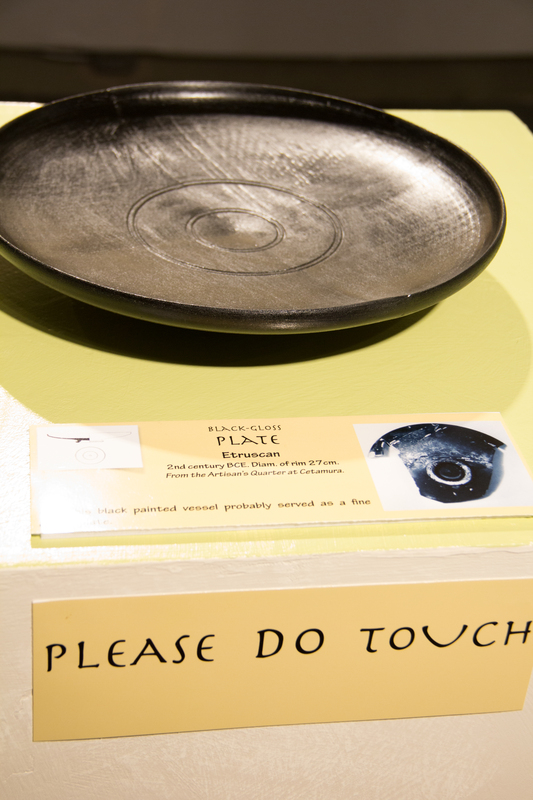 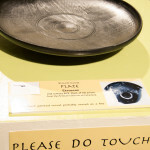 “Please do touch” is not an instruction normally seen in a museum. 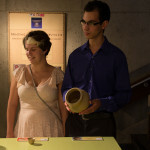 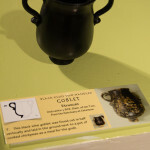 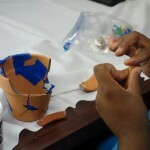 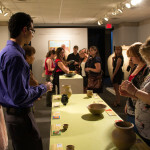 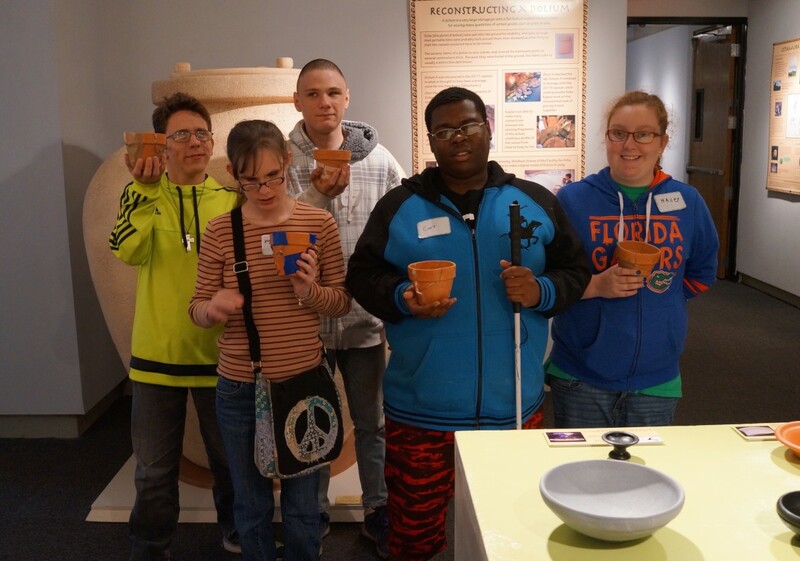 Dr. Sandra Lewis, Professor and Coordinator, Visual Disabilities Program of Florida State University, and her students along with Dr. de Grummond’s students assisted young visitors with educational exercises including the re-assembly of a smashed flower pot, analogous to the reconstruction of ceramics from fragments at an archaeological site. 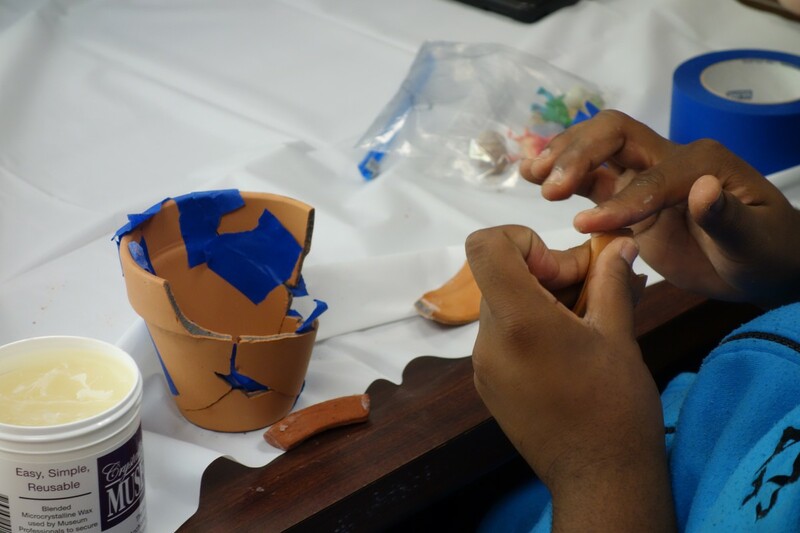 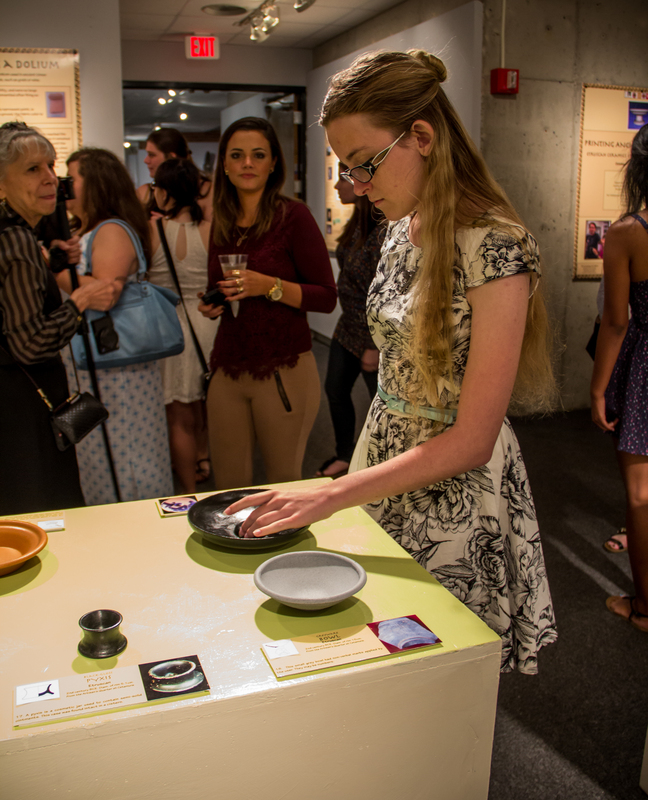 A student reassembles a ceramic pot from fragments. 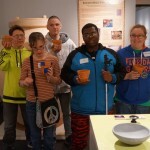 Students from Lighthouse completed the re-assembly of broken pots using painter’s tape and museum wax. 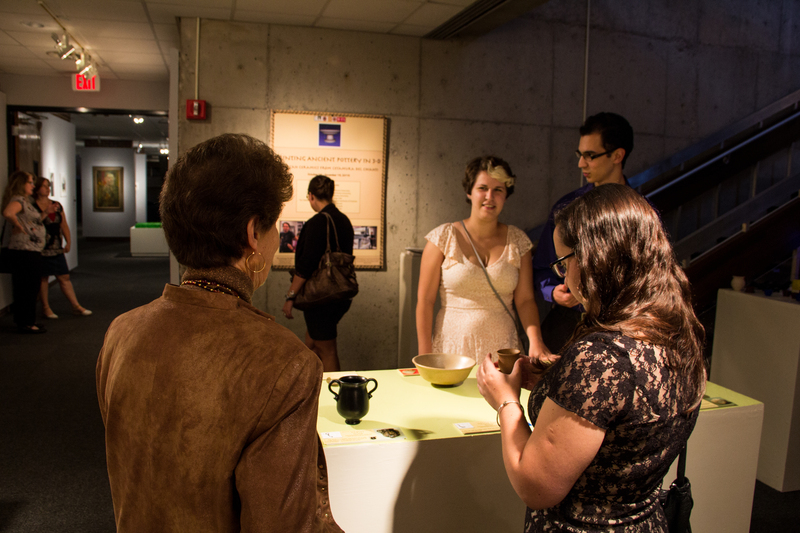 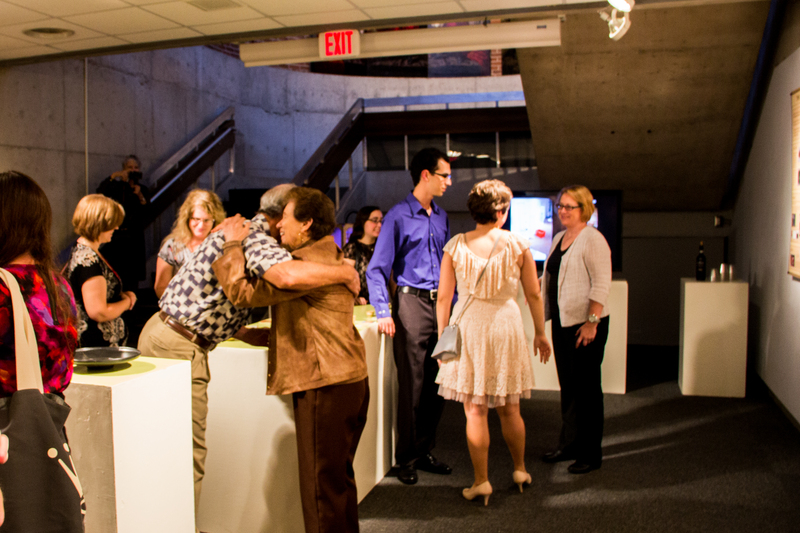 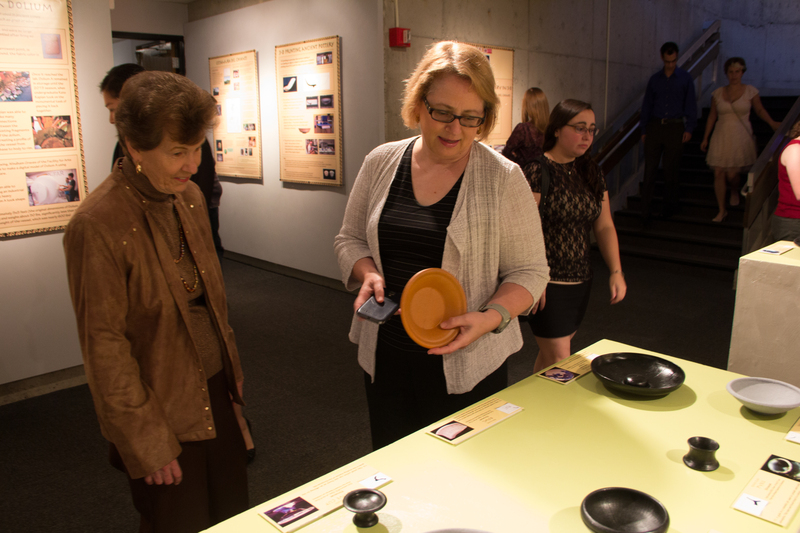 Dr. de Grummond demonstrates the touchable nature of the objects to Windham Graves and guests at the opening of the exhibition. 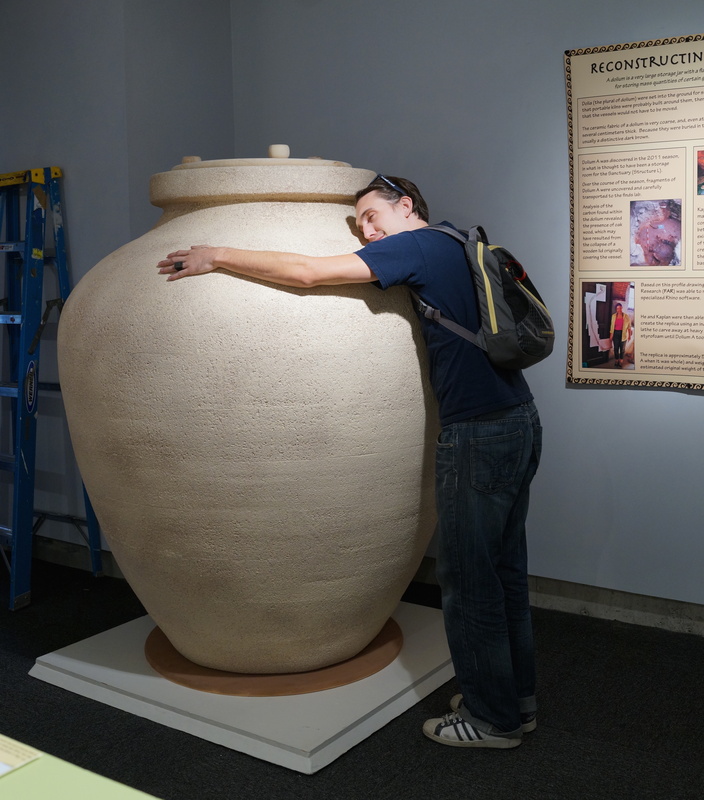 Max Gross and Windham Graves delivered the dolium to the Museum from FAR. 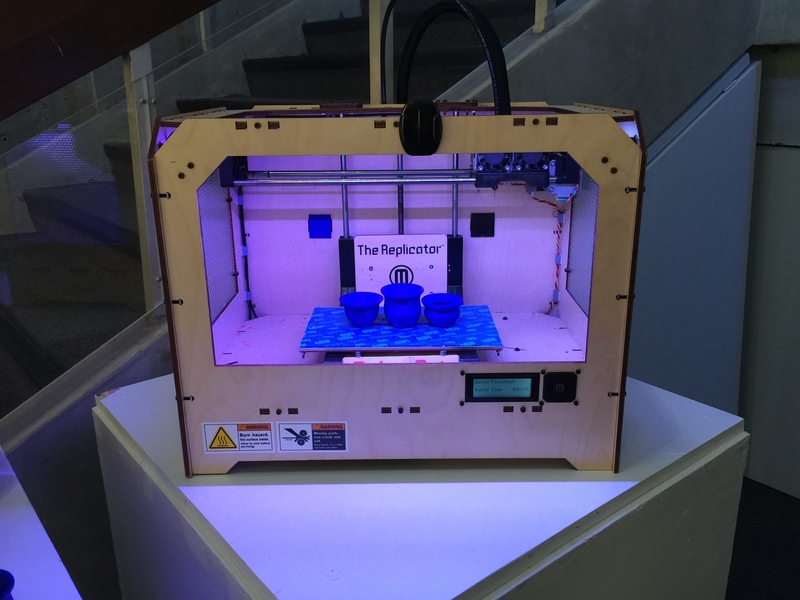 Due to its sheer size, a huge storage container (a dolium) required something more than 3-D printing: that fabrication challenge was undertaken by the FAR team and completed by Windham Graves and Max Gross. 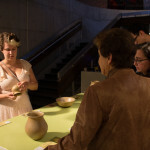 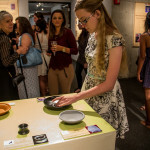 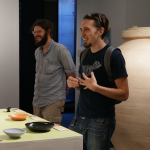 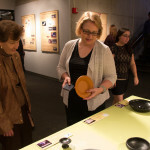 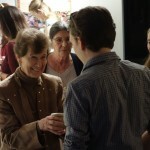 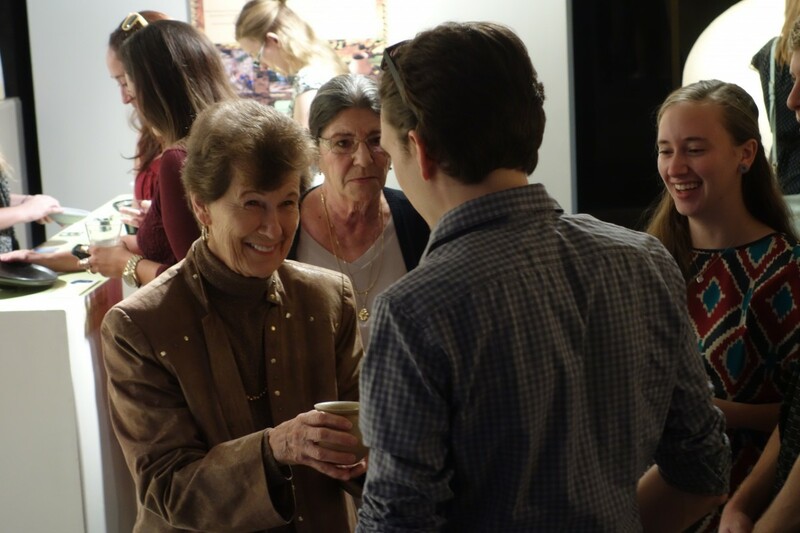 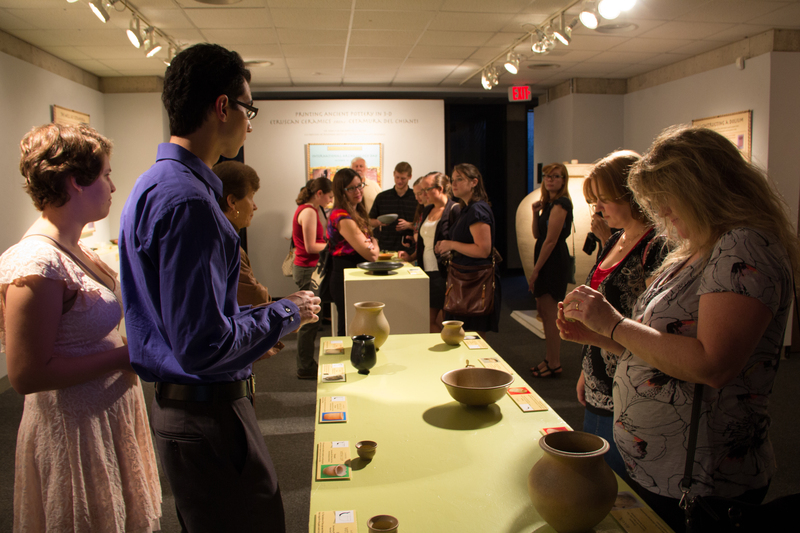 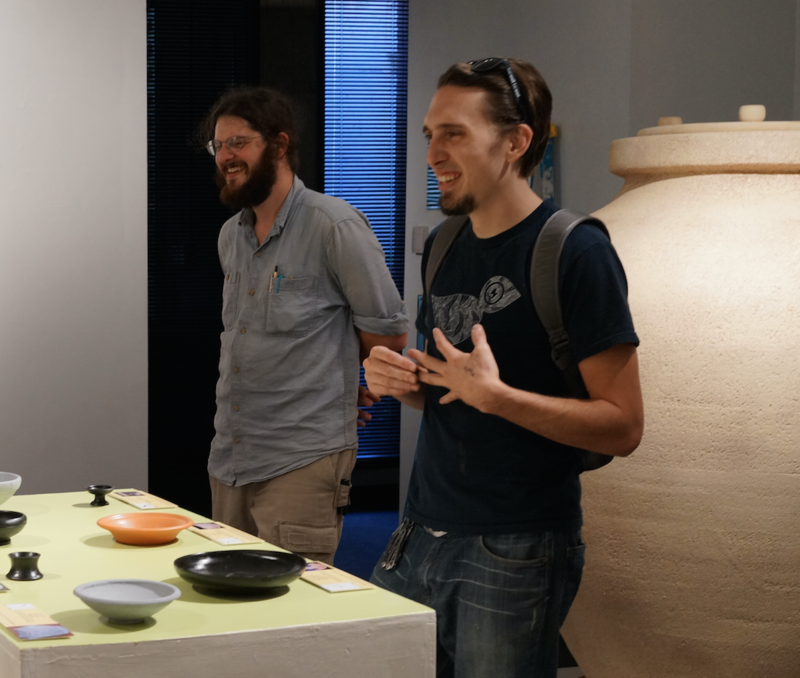 Please enjoy these photos from the opening of 3-D Printing of Ancient Pottery from Cetamura, prepared by Dr. Nancy de Grummond and Windham Graves. 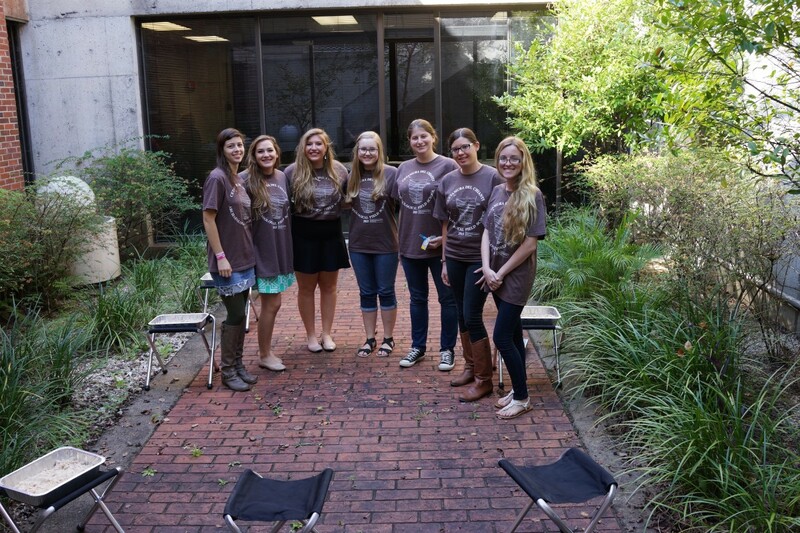 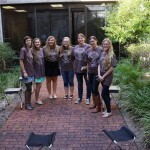 For additional information, view the original blog post or contact Liz McLendon at (850)644-1299 or emclendon@fsu.edu. 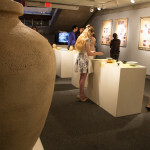 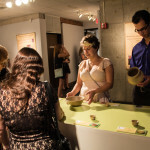 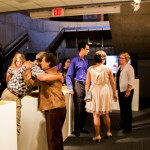 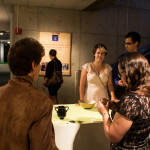 This exhibition has also been featured by FSUNews.com and Council on Culture & Arts.